Electronic citation (e-Citation) systems represent one of the most succcessful uses of mobile and wireless technology in public safety operations. 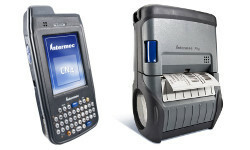 Electronic citation systems have earned high user satisfaction ratings from state highway patrol agencies, police departments, parking authorities and campus security organizations across the country because of their well-proven ability to save time for officers, improve safety while issuing tickets, reduce errors and illegible tickets, and improve collection rates. The only significant obstacles to more widespread use of electronic citation systems are insufficient awareness, understanding and budgets. This white paper will provide the background information needed to pursue an e-Citation initiative, plus benefit data and tips to help win funding for it.